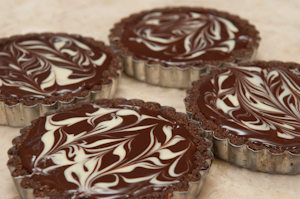 Individual tarts are used to illustrate the steps. 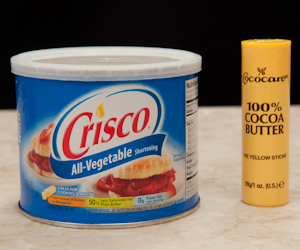 Cream of Coconut in can. 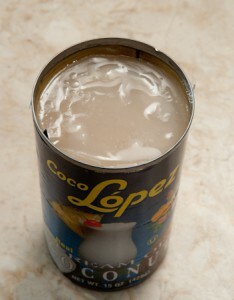 Cream of Coconut poured out of can. 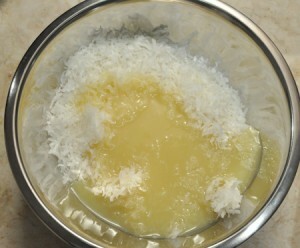 Cream of Coconut whisked to bring together. 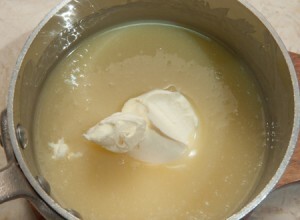 until melted but do not boil. 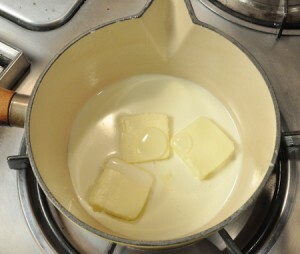 Add the butter and continue to heat gently until the butter has melted. 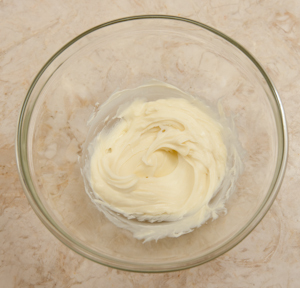 Remove from the heat; whisk in the mascarpone. 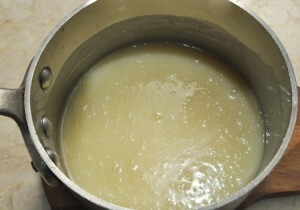 then pour into the shell. 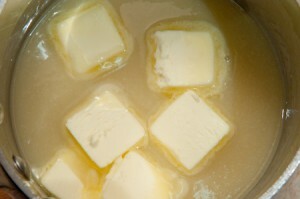 Heat the cream, butter and clear corn syrup over medium heat until the butter is melted and mixture is steaming but do not boil. 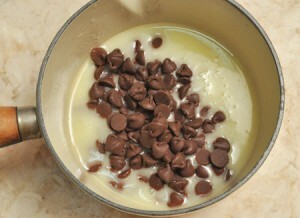 Remove from the heat and add the semisweet chocolate. 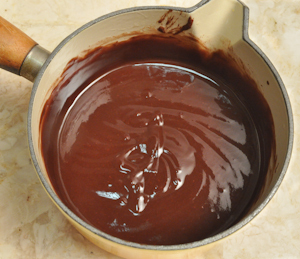 Let sit for several minutes; whisk gently to smooth out chocolate. 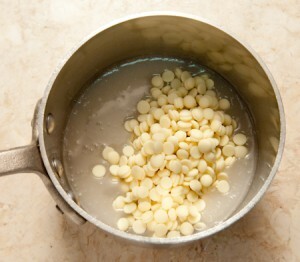 Place the white chocolate in a microwave container and microwave about 1 1/2 to 2 minutes on half power. 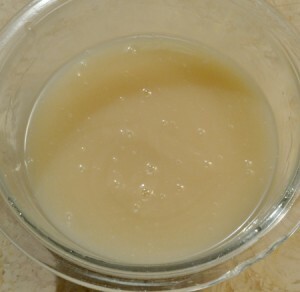 Stir to smooth completely. 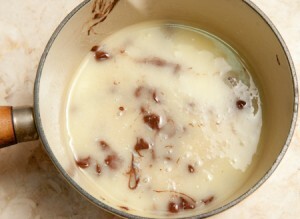 If the chocolate is too thick to drizzle easily, melt a tablespoon or so of shortening or cocoa butter in a microwave. 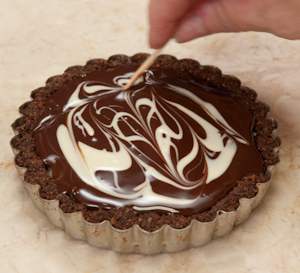 Add a little at a time until the chocolate will drop from a spoon in a steady stream without clumping up. 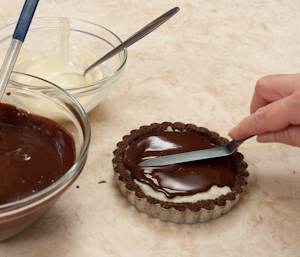 Pour the chocolate glaze in the middle of the tart. 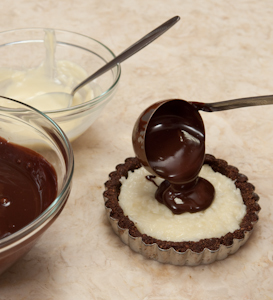 With an offset spatula, spread the chocolate glaze to cover the coconut just to the edge of the coconut. 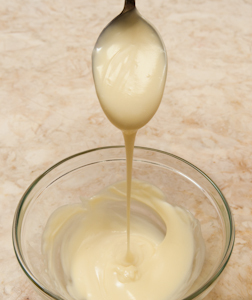 Immediately, dip a spoon into the melted white chocolate and holding it 6 to 8 inches over the chocolate glaze, make random circles by moving the spoon in a circular motion. 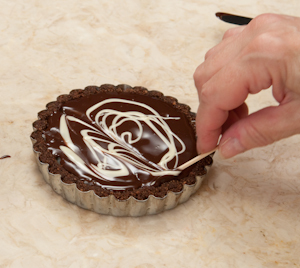 Before either the glaze or white chocolate start to set, use a toothpick or bamboo skewer to draw a shallow line top to bottom near the edge of the tart. 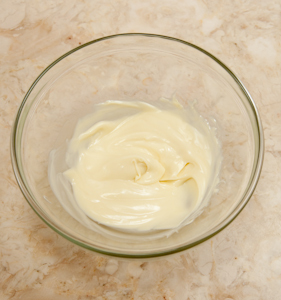 Move over about an inch and draw a shallow line bottom to top; Repeat till you get to the other side. 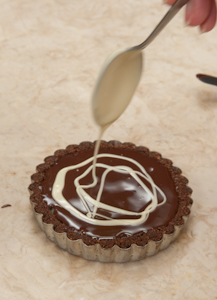 Repeat drawing lines sideways 3 or 4 times from the top of the tart to the bottom. 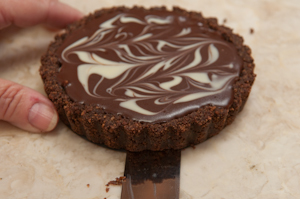 Lastly, pick the tart up and rap it firmly on the table to smooth out the topping. 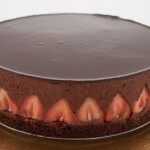 Refrigerate to set top or freeze. 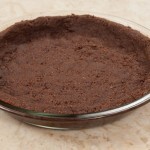 The sides should just drop away; if they don’t, use a pointed offset spatula between the edge of the tart and the pan. 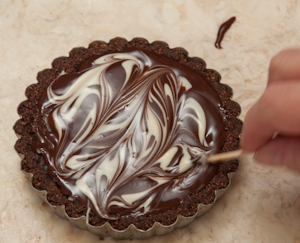 Release the bottom with a straight spatula between the bottom of the tart and the pan. 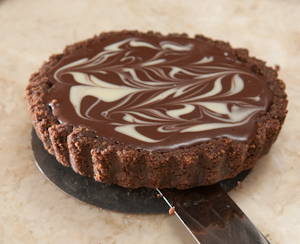 This entry was posted in Front Page and tagged chocolate, coconut, cream of coconut, Dessert, glaze, pastry, tart on August 5, 2012 by hfletcher. excellent site. I am an ardent fan of yours. 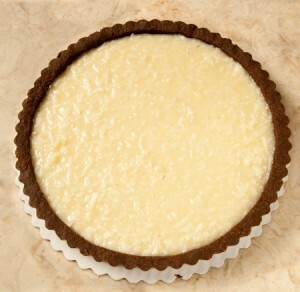 In the coconut cream tart the measurements are not given. 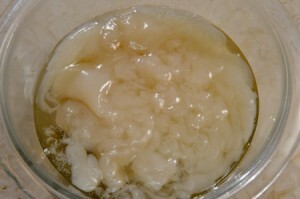 Looks like a very good filling. 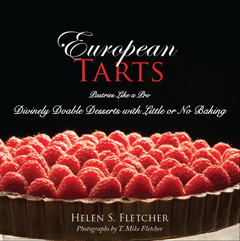 Hi Susan: The site is a photo tutorial that backs up the book “European Tarts”. It is available on Amazon in a paperback or on Kindle. 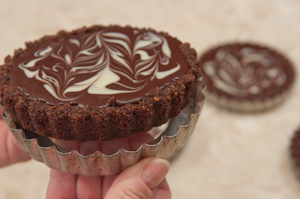 I could not fit all of the how to photos in the book so I put them up on a website. 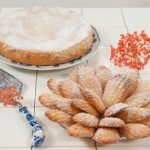 Please visit my blog, http://www.pastrieslikeapro.com for baking and pastry.